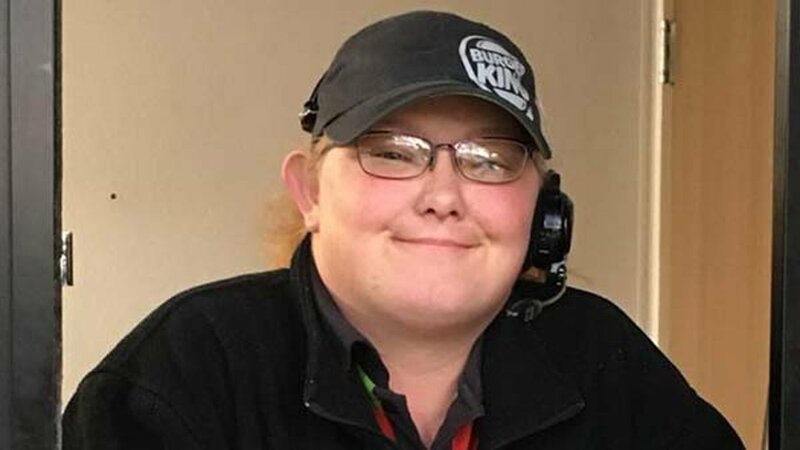 AMARILLO, Texas -- A Burger King employee in Texas is being hailed as a hero after she went above and beyond to help a diabetic customer. Rebecca Boening said she was driving on the highway last week when her blood sugar dropped to a dangerous level. She got off at the nearest exit and made it to the drive-through lane of a Burger King where, lucky for her, Tina Hardy was on duty. "I honestly at first didn't know who she was or what she was doing," Boening said. "It took me a minute to figure it out." Boening was grateful for the help. "If I hadn't gotten something to eat when I did, I easily could've gone into a diabetic coma," Boening said. "I actually could have lost consciousness and if it had gotten worse. I could've even died from it." "She had only worked there six months," Boening said. "She had no idea if she would be fired for leaving her post and the building."